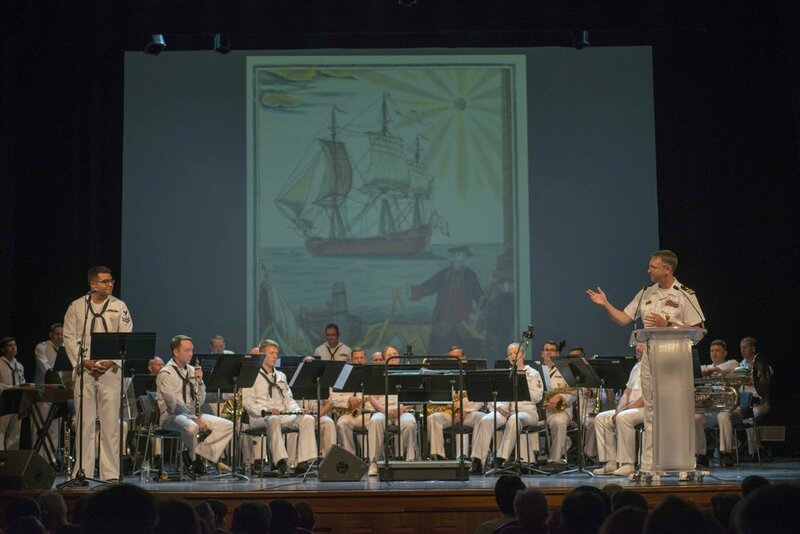 The Legacy has concluded with great success the commemoration ceremonies of the 150th Anniversary of the last voyage of Admiral Farragut to Spain. We began the activities in March with the request to the Post Office (Correos) of a commemorative stamp that was presented on June 8th at the Naval Museum. Our most sincere appreciation to SEPI (LOGO) and to Correos for giving this magnificent gift to the common history of Spain and the United States of America. 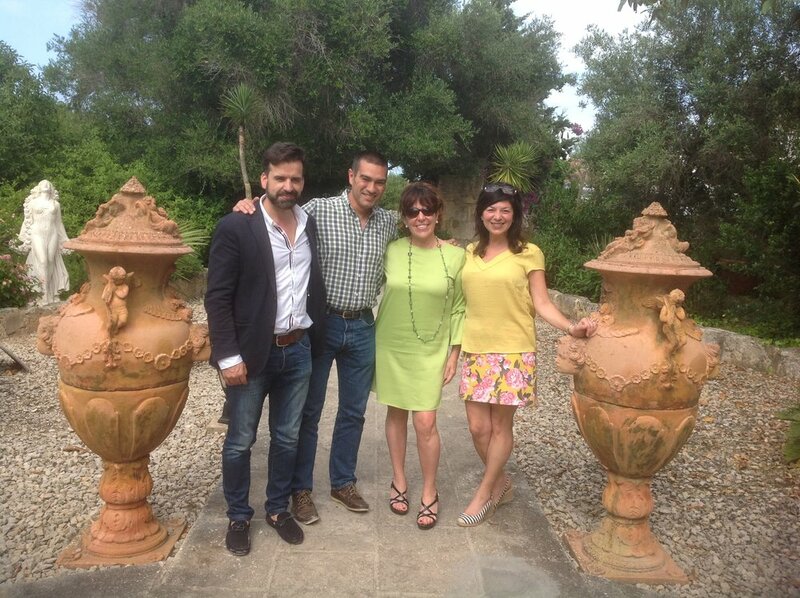 The events celebrated in Menorca on June 15th and 16th have been possible thanks to the generous contribution of our founding partner INDRA. We would like to thank President Fernando Abril-Martorell for his generous and unconditional support of our objectives. On Saturday we began the day with a visit to the fort of la Mola, from which we sailed to Isla del Rey, chapter 7 in our book. The oldest Naval Hospital in Europe. 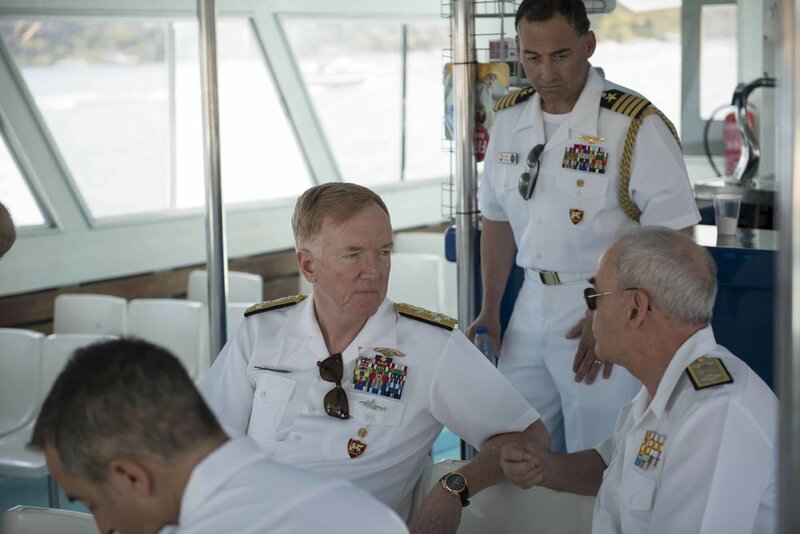 The US Navy took the courtesy of receiving us on the USS Donald Cook, an exceptional opportunity to visit the ship and be able to socialize with the crew. 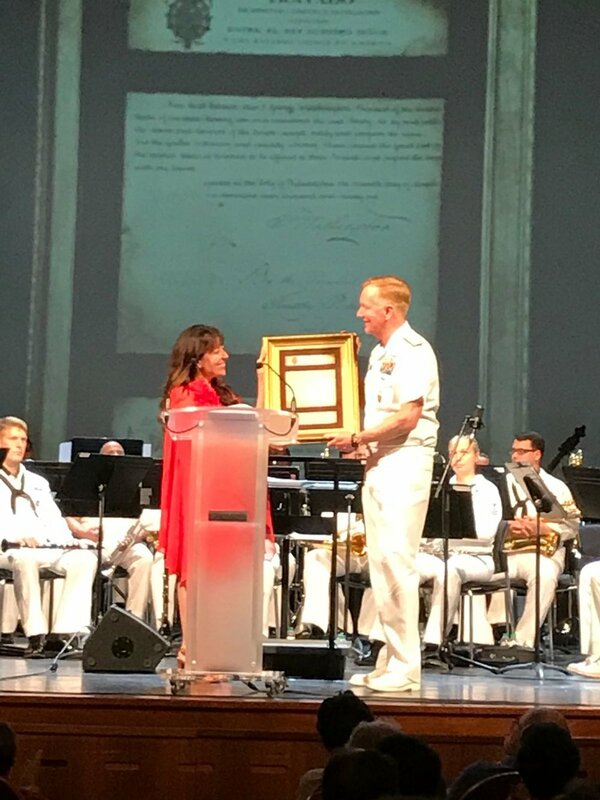 President Eva Garcia presented a framed commemorative stamp to Commander Matt Powell. 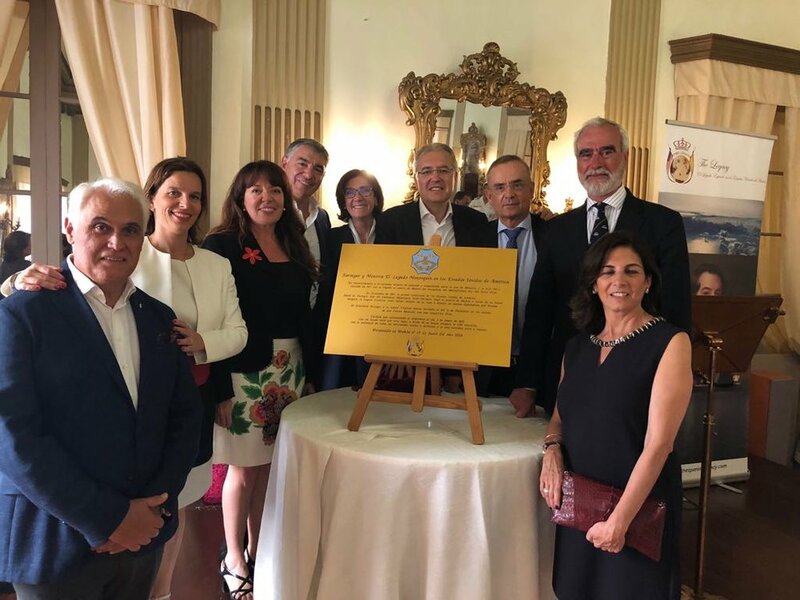 At 7 pm we inaugurated a plaque in the ballroom of the aristocratic Casino Mahonés, where the Admiral and his wife Virginia began the first day of the year of 1868. 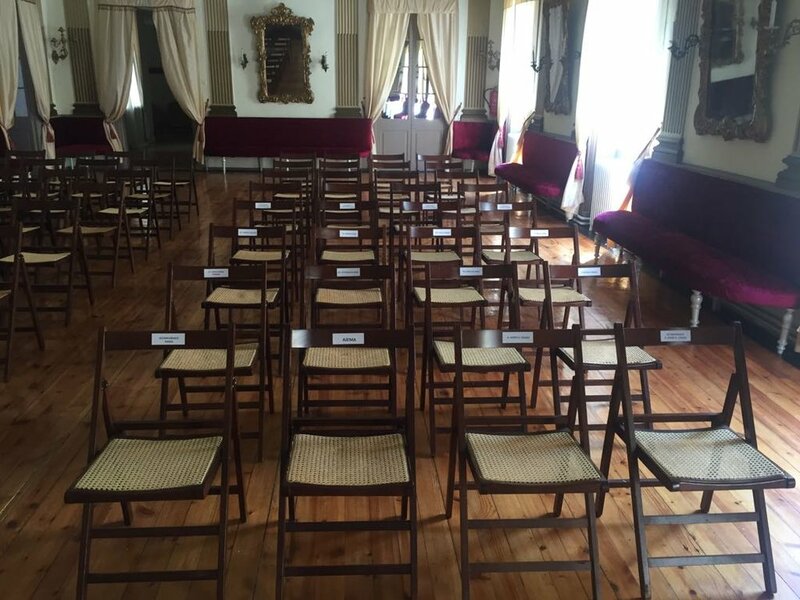 Afterwards in the heart of the Town Hall of Mahon we attended a formal act, the signing of a cooperation agreement between Mayor Conxa Juanola and President Eva Garcia. 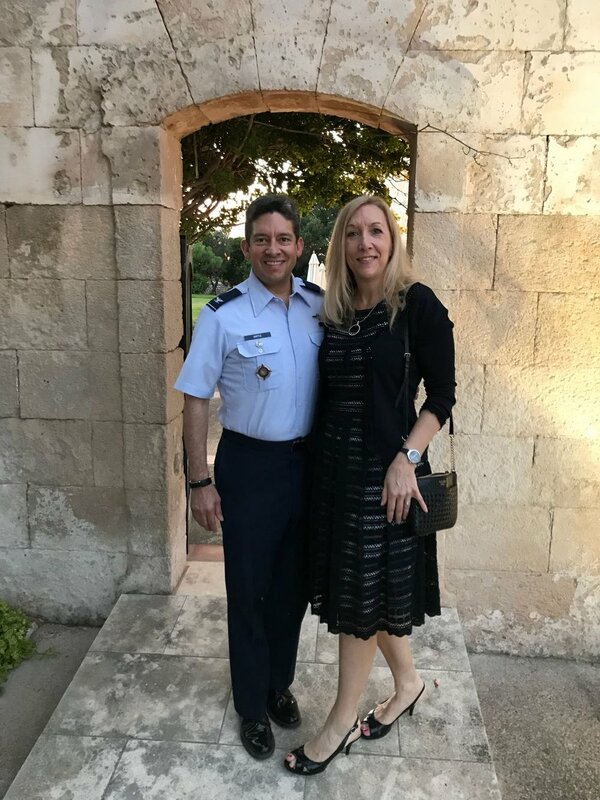 The Mayor, on behalf of the Town Hall received a copy of the book Farragut and Menorca and a replica of the framed commemorative stamp of Admiral Farragut, where it is shown a magnificent portrait of Port Mahon. We officially closed the events onboard the Spanish Frigate F-104 Mendez Nuñez, where we were received by Admiral General Teodoro Lopez Calderón who along with Admiral James G. Foggo and the rest of the authorities presided over the lowering of the flag at sunset with the Spanish and United States national anthems. 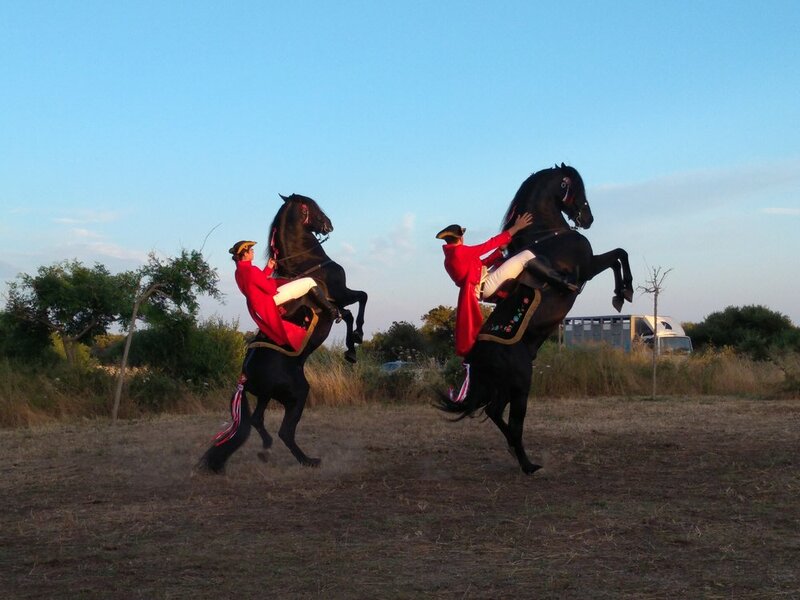 We invite you to visit the sections of each one of the activities where you will find articles and photos of the different events.